I think I'm a snack binger, if there's such a thing. I love to nibble and munch on something at different times of the day -- before or after meals, and before going to bed. I know, I know... I need to break that habit, especially now that I've learned about my food intolerances (more on that very soon). For today, I'm sharing some goodies I received recently, which left me craving for more. I thoroughly enjoyed them as snacks, and even for breakfast with coffee or tea! Imagine some rich dark chocolate sandwiched between two delicately crisp lace cookies... decadence in a bite! Cookies Unlimited products are mostly handmade and homemade, using premium ingredients that you can definitely taste with every nibble and bite, no preservatives. Another family favorite is the thin Almond Butter Crisp (top photo) that crumbles and melts in your mouth! Ubos agad! 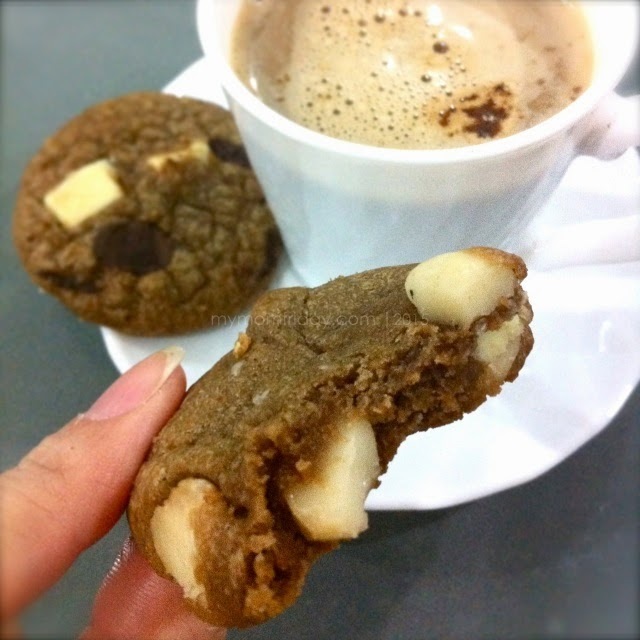 Cookies Unlimited products include crisp cookies, soft and chewy cookies and cookie cups. 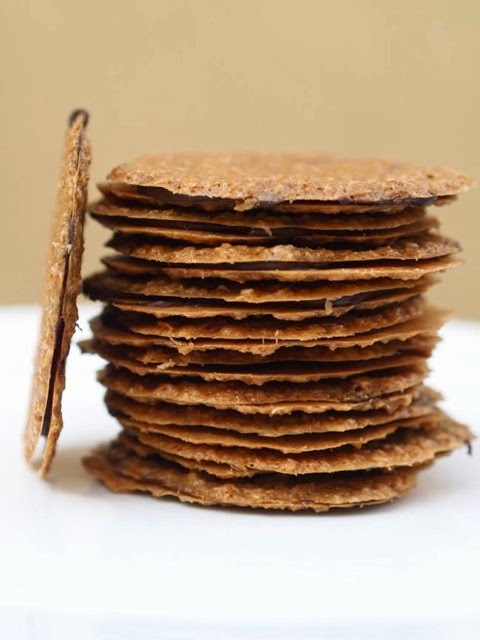 Sugar-Free variants like Oatmeal cookies, Cashew Meringue, and Almond Butter Crisp are also on offer. 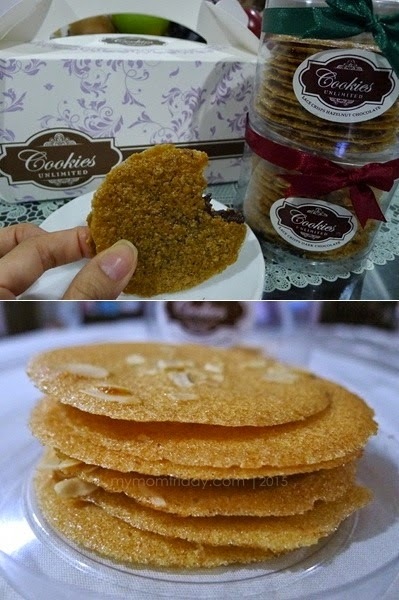 Lace and crisp cookies go for P180 - P210 per tub, and comes in a pretty gift box, single or double. * Cookies Unlimited will have a stall at Eastwood Mall on all weekends of February 2015. From Japan to Hongkong, Shanghai to Bangkok, this new franchise has arrived in Manila. Danish Bar is an affiliate of Japan's famous Little Mermaid Bakery. 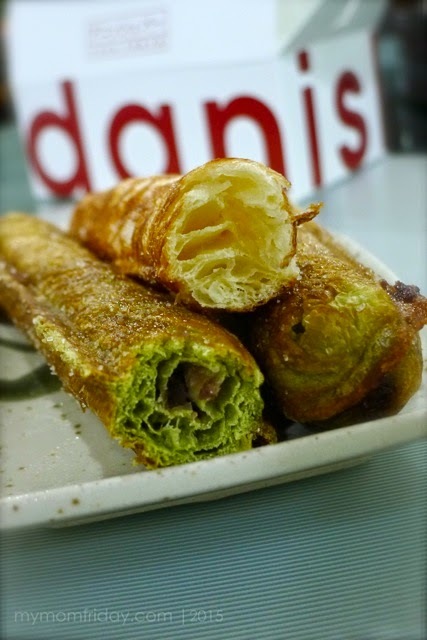 I'm a fan of Danish pastries but it's my first time to learn about Danish Bar. 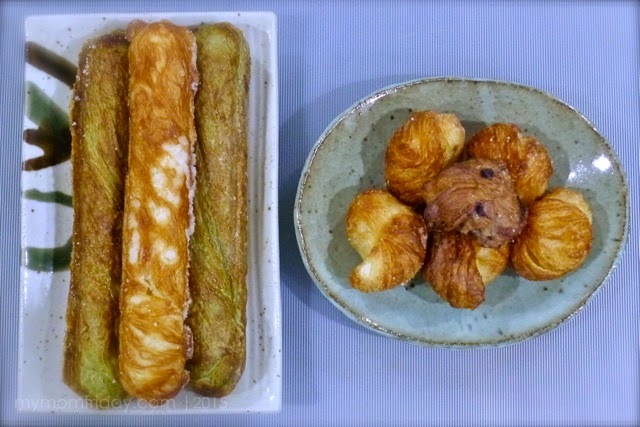 It's known for its bite-sized pastries, particularly Danish Balls, and mini Danish Bars. True enough, their freshly-baked pastries delighted my taste buds and hit a warm spot in my tummy. 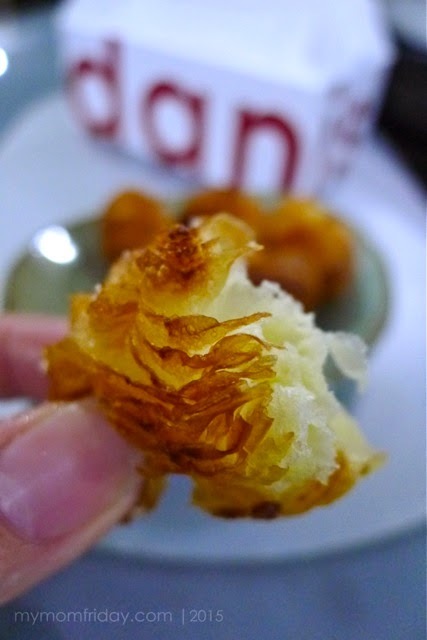 Like what I shared on my Instagram, the Danish balls are like bite-sized croissants that are light, flaky and soft at the same time, with a taste of marzipan. I prefer the plain Sugar variety for the balls, and the Crunch Sugar for the bar. But I must admit, their Green Tea with Red Bean paste gave that delightful Asian twist to this European pastry. Best eaten when warm. Danish Bars go for P60 - P80 each. Danish Balls at P70/4pcs. or P200/dozen. These bars and balls also come in boxes of assorted flavors and quantities, at P250 or P450 per box. 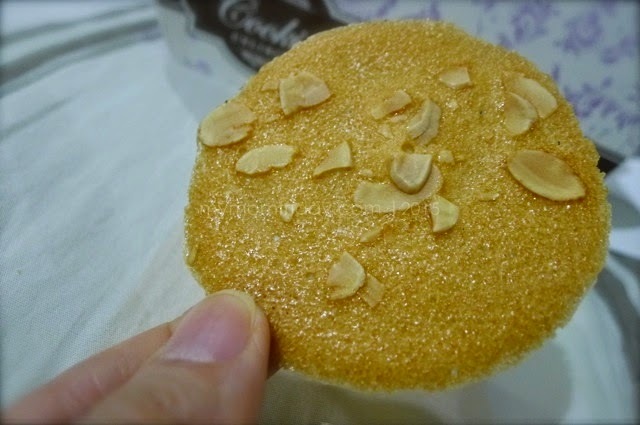 When I first tried this cookie, I didn't know what it was and how it was made. It was just so pretty! So, what's a Scandinavian cookie, or Scandinavian Rosettes? Wikipedia tells us, it's "a thin, cookie-like deep-fried pastry of Scandinavian (Swedish and Norwegian) origin... traditionally made during Christmas time. They are made using intricately designed irons, heated to a very high temperature in oil, dipped into the batter, then re-immersed in the hot oil to create a crisp shell around the metal. Usually, the edges of the rosette are dipped into frosting or sugar." Ayun pala yon... hope you learned something new today. =) It goes really well with tea and hot cocoa! Sarap! 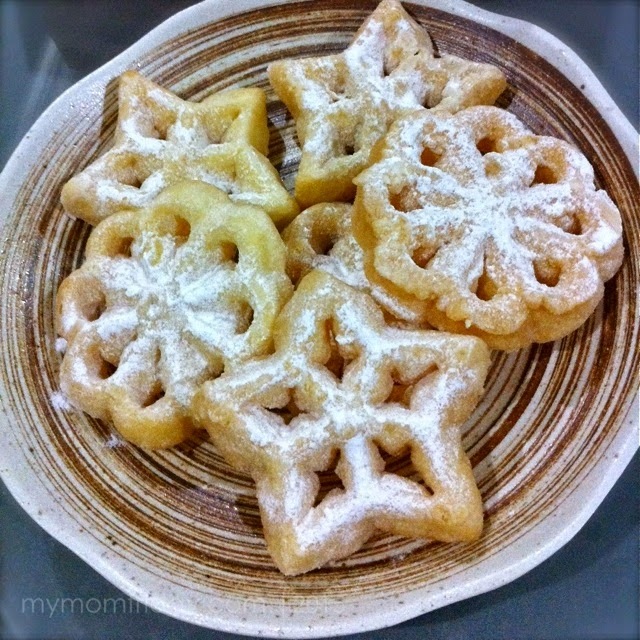 Chef Christa Mendiola is the professional baker-mom behind these crunchy cookies dusted with powdered sugar. I can imagine the effort she puts into making these intricate pastries. 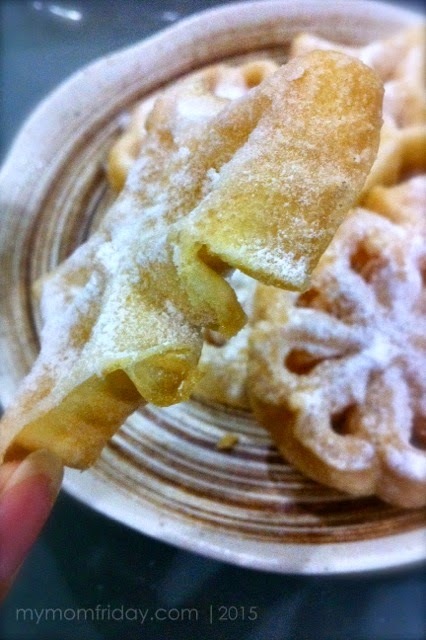 The taste actually remind me of plain doughnuts made crispy thin, then deep-fried. But these cookies are not greasy at all. In each pack, you'll find stars and rosettes. Feels like Christmas again! 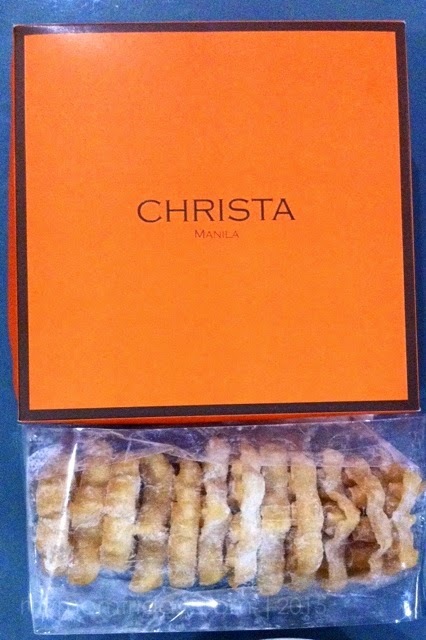 That gorgeous orange box contains two packs of these delightful Scandinavian cookies, and sells for P300/box. Also available are French macarons, luscious cakes and baked goodies. Chef Christa also offers private cooking/baking classes. Inquire for class schedules. Go and try these delectable goodies, I know you'll like them as much as I do. What are your recent foodie finds?